Have you ever been annoyed when you have to enter passwords on your iPhone and iPad even if you've already entered on Mac? Apple's iCloud Keychain can save the password and username you choose so that next time you come back, these will be automatically entered for you. 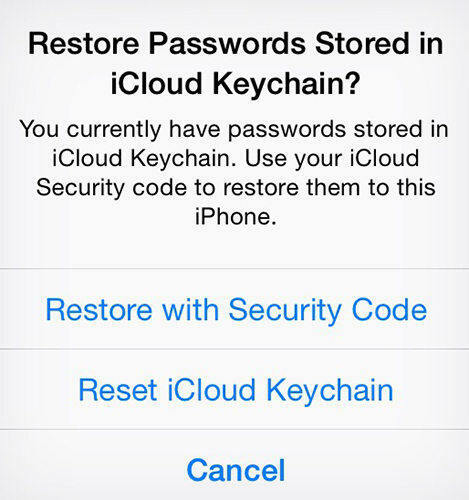 Read on to learn more about iCloud Keychain. Data stored via iCloud Keychain can be available on other devices logged on using the same Apple ID. Or put it another way, passwords you generate or save on a Mac computer running OS X Mavericks can be accessed on your iPad or iPhone upgraded to iOS 7.0.3, and vice versa. We'll detail how to enable iCloud Keychain on iOS device and Mac OS X Mavericks separately. 2. Go to Settings > iCloud and turn Keychain on. 3. Follow the onscreen instructions to complete setup. 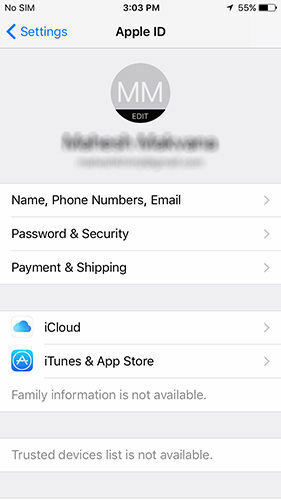 If it is the first time you enable Keychain on your account, iOS will ask to set up an iCloud Security code, a code which can be as simple as a 4-digit number. This security code is used to set up Keychain on new devices. After re-entering the code, the next page asks for the user's country code and phone number, which is needed by Apple to send an SMS to verify the user's identity when using the iCloud Security Code. 1. Choose Apple menu > System Preferences, then click iCloud > Keychain. 2. Optionally set a password to unlock your screen after sleep or after the screen saver begins. 3. Enter your Apple ID and password. 4. Follow the onscreen instructions to complete setup. Enabling iCloud Keychain on a secondary device sends a permission request to a device, on which your iCloud Keychain is already running. After that is approved, the secondary device will be allowed to read information stored on your Keychain. To use iCloud Keychain in Safari on an iOS device, tap Settings > Safari > Passwords & AutoFill, and enable your preferred categories. On a Mac, choose Safari > Preferences, click AutoFill, and make sure all desired categories are selected. Then, when you visit a site in Safari for which you've previously stored a username and password, the fields will be filled in automatically. No doubt that iCloud Keychain makes life with Apple's devices a lot easier. Earlier we've covered post about Everything You Need to Know about Mavericks. Check to learn details if you want to know more about Mavericks.